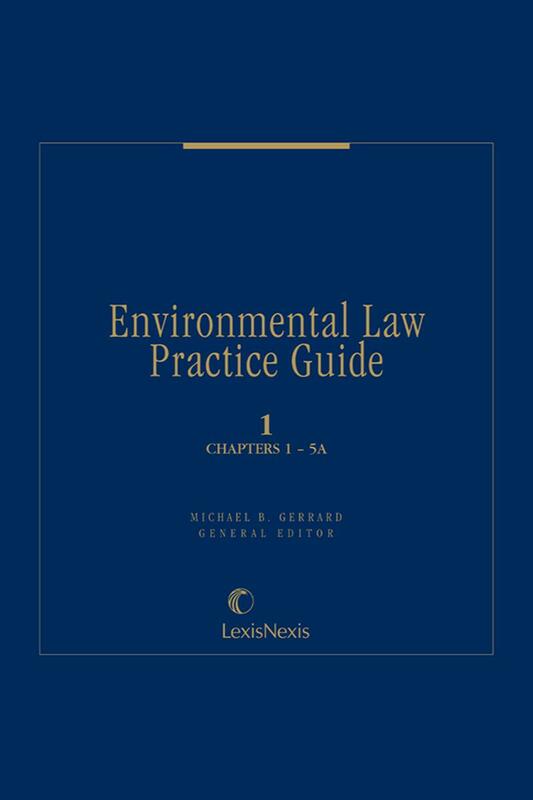 Guidance through complex procedures and phases of environmental law practice, featuring state-by-state as well as subject-by-subject coverage. 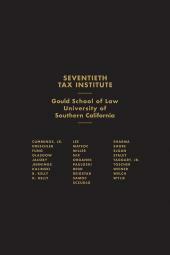 Comprehensive coverage of the entire spectrum of federal and state environmental law. Everything you need all in one place! 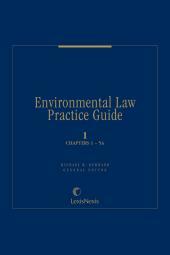 Provides practical guidance that cuts across all substantive areas of environmental law. 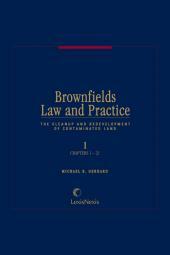 Written for attorneys, consultants, regulators and facility managers by some of the foremost authorities in the country, this publication provides guidance through complex procedures and phases of environmental law practice, featuring state-by-state as well as subject-by-subject coverage. Unit I: step-by-step guidance for procedural items involving, for example, environmental impact statements, land preservation, government financing, environmental management systems, document retention requirements, consultants and contractors, environmental due diligence, audits, liability, insurance, taxation, international activities, Indian country activities, regulatory takings, litigation, citizen suits, environmental justice, attorney's fees, conflicts of interest, ADR, civil and criminal enforcement, and practice before the EPA. Unit II: substantive law of environmental quality: air and water pollution, pollution prevention, indoor air quality, vapor intrusion, global climate change, green buildings and sustainable development, environmental trading programs, wetlands, drinking water, noise, oceans and coasts, and wildlife protection. Unit III: regulated substances and waste management, e.g. : identifying hazardous substances and hazardous wastes, RCRA, CERCLA, TSCA, OSHA, EPCRA, hazmat transportation, agricultural issues, pesticides, asbestos, lead, PCBs, molds, used oil, medical and infectious wastes, storage tanks, radioactive materials, preparation and responses to disasters and terrorism. 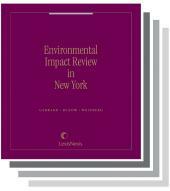 Unit IV: state-by-state (plus D.C. and Puerto Rico) guide to environmental law, including an examination of the federal-state relationship, and state environmental law procedures, programmatic areas and reference guides. 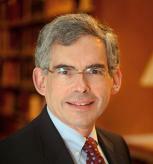 Practice materials include permit and litigation forms, lease clauses, environmental audit checklists, due diligence inquiry letters, site investigation and remediation forms and checklists directories of state governmental offices, lists of environmental and trade associations in each state, and bibliographies. Upon its initial publication, this set was named the Year's Best New Legal Practice Book by the Association of American Publishers.